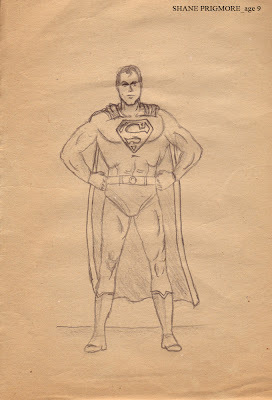 Not long after I started drawing, I discovered the character of Superman. The first film was released when I was one year old, so I grew up surrounded by Superman merchandise, comic re-boots, movie sequels, television, and video rentals. To me Christopher Reeve was, and will always be Superman. 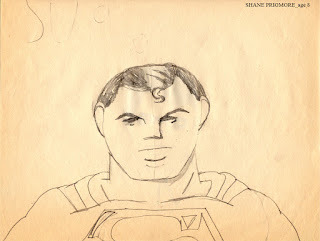 As a young artist this character quickly became my muse, and I am a Superman fan to this day. After the devastating disappointment of Superman Returns in 2006, I was fearful of seeing the latest film. Well I saw it, and there is a lot that I loved about the film, and a couple things I struggled with, but I will say that watching the film as a new father had an unexpected impact on me. 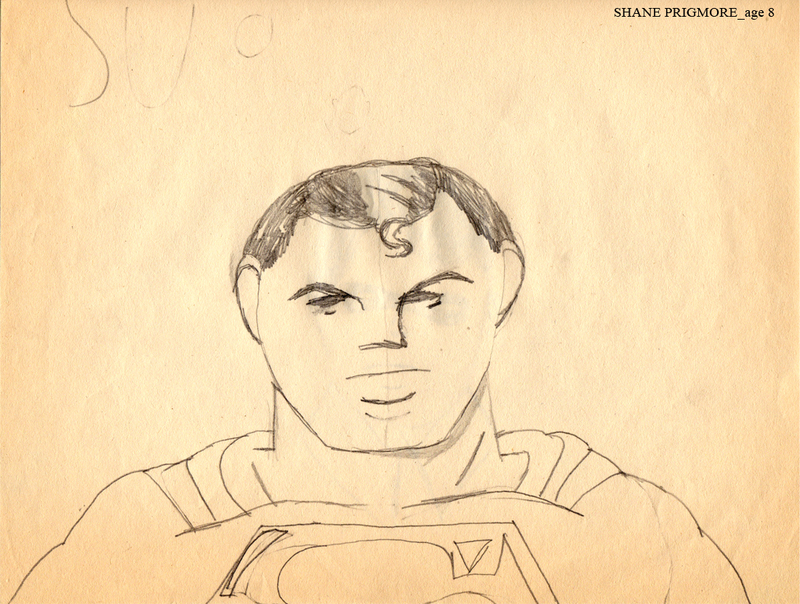 I am not going to blog a review of the film, but after seeing it I was inspired to share a couple drawings of the Man of Steel from my childhood. (Thanks for keeping this stuff Mom and Dad). (Above) Age 3. Here I'm Just trying to figure out the right symbols to create an image of this guy. He's flying if you couldn't tell. Maybe backwards though. 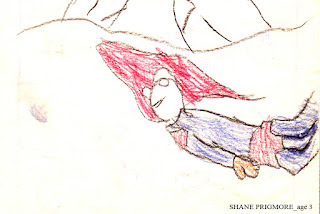 (Above) Age 6. Starting to draw him in situations now. I would make the sounds of all the action as I drew these scenes. My spelling was just as awesome as it is now. 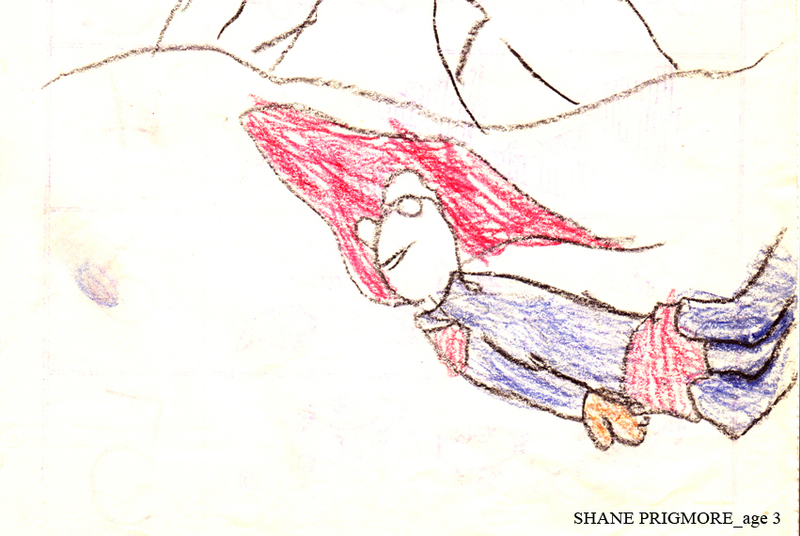 (Above) Age 8. One of my first attempts at a portrait. (Above) Age 9. I remember exactly where I was when I drew this one. It was on a camping trip with my family in 1986. I had my well worn "How To Draw the DC Superheroes" book with me, sitting at an old wooden picnic table. I'm pretty sure I had a mullet at the time. Just thought these would be fun to share. 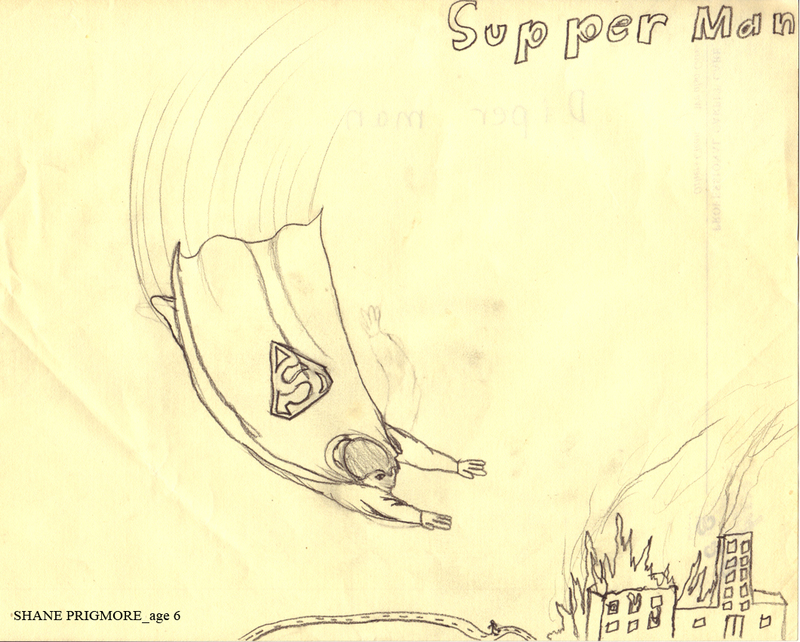 Every kid has to draw Superman at least once in their lives.